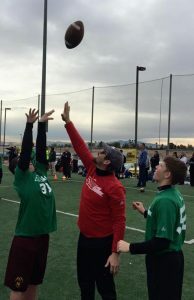 Our National Event: VEGAS 30 is next weekend! NOW is the perfect time to take advantage of any instructors in your area. Several long time instructors are holding sessions specifically to get you ready for VEGAS 30. The list is constantly growing and changes are posted each week. Rubio Long Snapping has Senior Instructors and Staff Members all over the country running private lessons and holding group sessions. 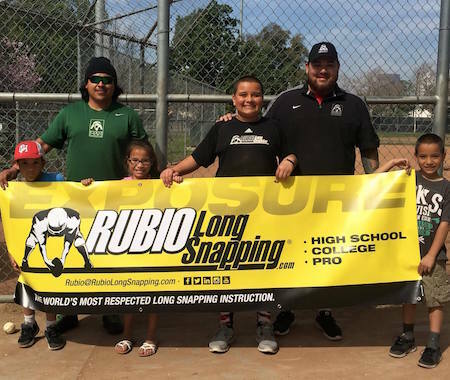 The objective is to get Long Snappers ready for upcoming Rubio Long Snapping camps. The instructors teach the Rubio way by getting Long Snappers ready mentally as well as physically while still having fun. 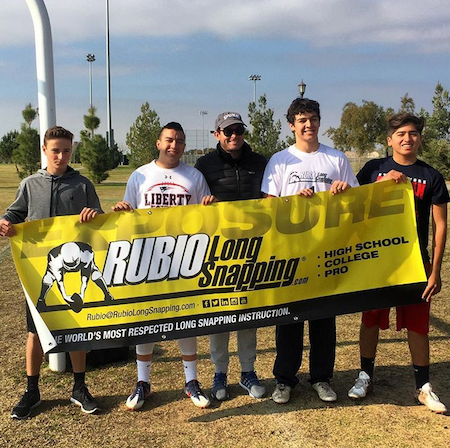 To find out more about upcoming Rubio Long Snapping events click HERE. 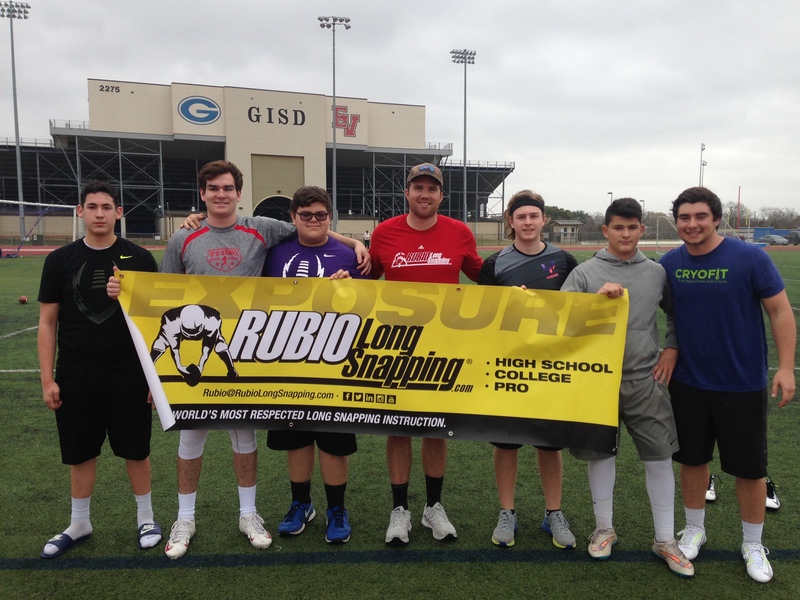 *All of the gentlemen listed are Rubio Long Snapping Senior Instructors or Senior Staff Members. 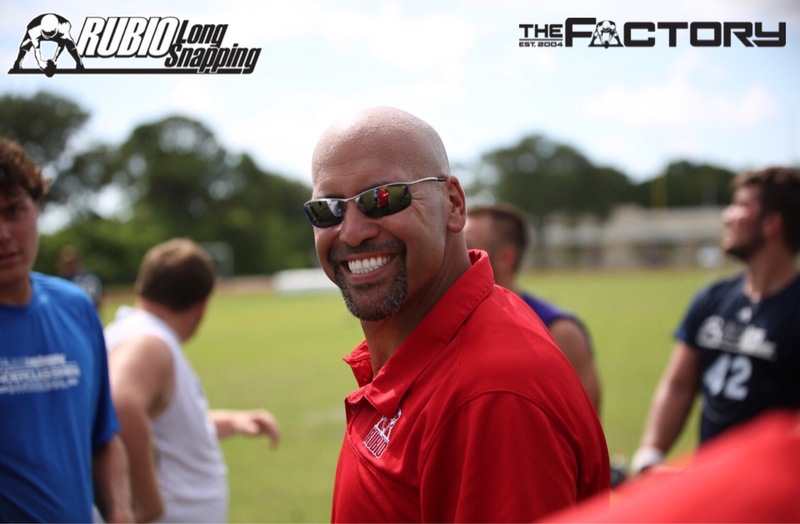 In just 13 years, Chris Rubio, President and Owner of Rubio Long Snapping, has become the #1 Long Snapping instructor in the country and the “go-to” man when a college coach needs a Long Snapper. Colleges from across the country rely on “Rubio’s” word day in and day out on who the best Long Snappers are in the country. Rubio Long Snapping has assisted in over 300 Long Snappers earning FULL SCHOLARSHIPS to major colleges and universities just for Long Snapping and many into the NFL as well. Filed Under: Uncategorized Tagged With: Aaron Golub, Alan Lucy, Albuquerque, Arkansas, Atlanta, Baton Rouge, Bay Area, Blake Ferguson, Brendan Lopez, California, Carson Vey, Casey Hales, Charlotte, Chesterfield, Chris Roberson, Colorado, Columbia, Corey Adams, Dallas Fort Worth, Derrick Lopez, Exposure, Florida, Gabe Miller, Georgia, Geron Eatherly, Harrison Elliott, Houston, Idaho, Illinois, Indiana, Jason Bertoni, Jeff Abraham, John Finch, Jonesboro, Josh Appel, Kansas, Kansas City, Kevin Ballinger, Las Vegas, Lessons, Lewiston, Louisiana, Macon, Maryland, Matt FOley, Matt Fortin, Matt Wigley, Missouri, Neal Dahlman, Nebraska, New Jersey, New Mexico, New Orleans, North Carolina, Orange County, Pennsylvania, Philadelphia, Provo, Raleigh, Rubio long snapping, Ryan Eustace, Ryan Farr, Ryan Simmons, San Diego, Santa Monica, Seattle, South Carolina, Steven Romero, Tanner Gibas, Tennessee, Terre Haute, Texas, Tom Swoboda, training, Tyler Griffiths, Utah, Virginia, Washington D.C.
Third from the right: Rubio Long Snapping Instructor, Matt Wigley, leads private and group sessions in Orange County California. 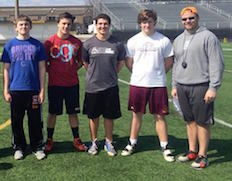 The off season is the perfect time to take advantage of any instructors in your area. The list is constantly growing and changes are posted each week. Filed Under: High School, Lessons, Uncategorized Tagged With: Aaron Golub, Alan Lucy, Albuquerque, Arkansas, Atlanta, Baton Rouge, Bay Area, Blake Ferguson, Brendan Lopez, California, Carson Vey, Casey Hales, Charlotte, Chesterfield, Chris Roberson, Colorado, Columbia, Corey Adams, Dallas Fort Worth, Derrick Lopez, Exposure, Florida, Gabe Miller, Georgia, Geron Eatherly, Harrison Elliott, Houston, Idaho, Illinois, Indiana, Jason Bertoni, Jeff Abraham, John Finch, Jonesboro, Josh Appel, Kansas, Kansas City, Kevin Ballinger, Las Vegas, Lessons, Lewiston, Louisiana, Macon, Maryland, Matt FOley, Matt Fortin, Matt Wigley, Missouri, Neal Dahlman, Nebraska, New Jersey, New Mexico, New Orleans, North Carolina, Orange County, Pennsylvania, Philadelphia, Provo, Raleigh, Rubio long snapping, Ryan Eustace, Ryan Farr, Ryan Simmons, San Diego, Santa Monica, Seattle, South Carolina, Steven Romero, Tanner Gibas, Tennessee, Terre Haute, Texas, Tom Swoboda, training, Tyler Griffiths, Utah, Virginia, Washington D.C.
Center: Rubio Long Snapping Instructor, Casey Hales, holds private lessons and group sessions in Northern California. Center: Rubio Long Snapping Instructor, Gabe Miller, holds lessons in Nebraska. 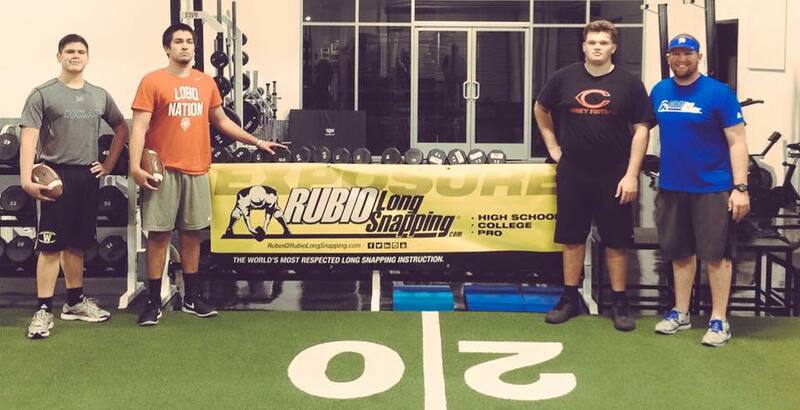 Center: Rubio Long Snapping Instructor, Tom Swoboda, holds private lessons and group sessions in Missouri. 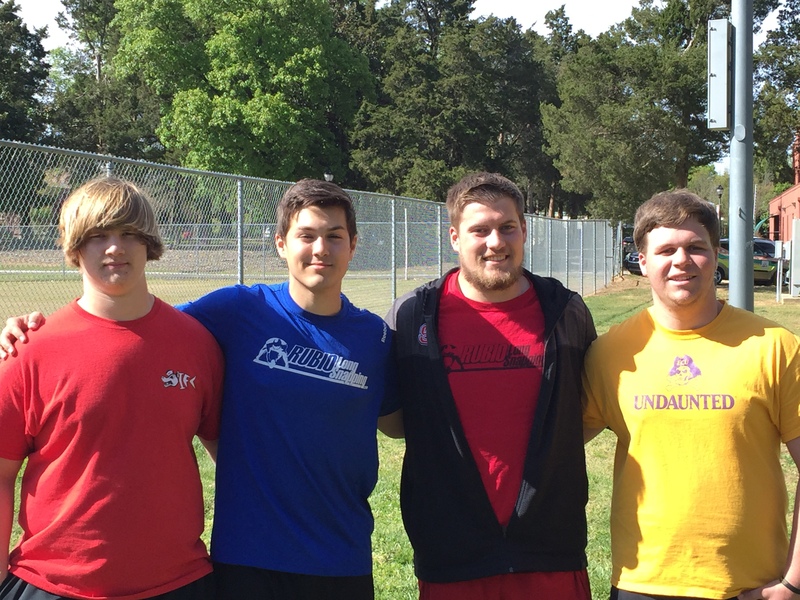 Second from the Right: Rubio Long Snapping Instructor, Tyler Griffiths, leads session in North Carolina. Filed Under: High School, Lessons Tagged With: Aaron Golub, Alan Lucy, Albuquerque, Arkansas, Atlanta, Baton Rouge, Bay Area, Blake Ferguson, Brendan Lopez, California, Carson Vey, Casey Hales, Charlotte, Chesterfield, Chris Roberson, Colorado, Columbia, Corey Adams, Dallas Fort Worth, Derrick Lopez, Exposure, Florida, Gabe Miller, Georgia, Geron Eatherly, Harrison Elliott, Houston, Idaho, Illinois, Indiana, Jason Bertoni, Jeff Abraham, John Finch, Jonesboro, Josh Appel, Kansas, Kansas City, Kevin Ballinger, Las Vegas, Lessons, Lewiston, Louisiana, Macon, Maryland, Matt FOley, Matt Fortin, Matt Wigley, Missouri, Neal Dahlman, Nebraska, New Jersey, New Mexico, New Orleans, North Carolina, Orange County, Pennsylvania, Philadelphia, Provo, Raleigh, Rubio long snapping, Ryan Eustace, Ryan Farr, Ryan Simmons, San Diego, Santa Monica, Seattle, South Carolina, Steven Romero, Tanner Gibas, Tennessee, Terre Haute, Texas, Tom Swoboda, training, Tyler Griffiths, Utah, Virginia, Washington D.C.
Far Right: Lead Rubio Long Snapping Instructor, Neal Dahlman, hold groups lessons in the Midwest. 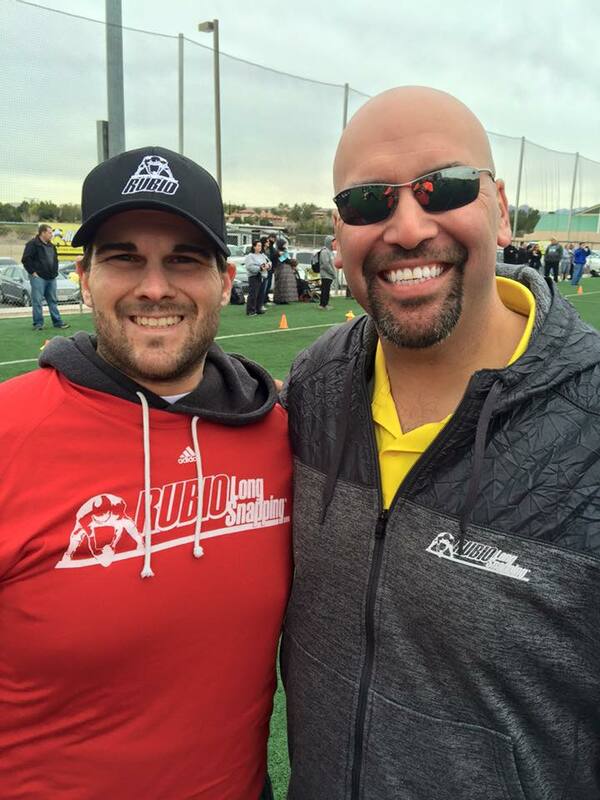 Filed Under: Lessons, Long Snapper, Uncategorized Tagged With: Aaron Golub, Alan Lucy, Albuquerque, Arkansas, Atlanta, Baton Rouge, Bay Area, Blake Ferguson, Brendan Lopez, California, Carson Vey, Casey Hales, Chris Roberson, Colorado, Corey Adams, Dallas Fort Worth, Danny Lamontagne, Derrick Lopez, Exposure, Florida, Gabe Miller, Georgia, Greenville, Harrison Elliott, Houston, Illinois, Indiana, Jason Bertoni, Jeff Abraham, John Finch, Jonesboro, Josh Appel, Kansas, Kansas City, Kevin Ballinger, Laguna Hills, Las Vegas, Lessons, Louisiana, Maryland, Matt FOley, Matt Fortin, Matt Wigley, Missouri, Neal Dahlman, Nebraska, New Jersey, New Mexico, New Orleans, Nick Monaghan Columbia, North Carolina, Pennsylvania, Philadelphia, Provo, Rubio long snapping, Ryan Eustace, Ryan Farr, Ryan Simmons, San Diego, Santa Monica, Seattle, South Carolina, Steven Romero, Tanner Gibas, Tennessee, Terre Haute, Texas, training, Tyler Griffiths, Utah, Virginia, Washington D.C.
Center: Rubio Long Snapping Instructor, John Finch, holds lessons in the the Dallas, Texas area. Filed Under: Uncategorized Tagged With: Aaron Golub, Alan Lucy, Albuquerque, Arkansas, Atlanta, Baton Rouge, Bay Area, Blake Ferguson, Brendan Lopez, California, Carson Vey, Casey Hales, Chris Roberson, Colorado, Corey Adams, Dallas Fort Worth, Danny Lamontagne, Derrick Lopez, Exposure, Florida, Gabe Miller, Georgia, Greenville, Harrison Elliott, Houston, Illinois, Indiana, Jason Bertoni, Jeff Abraham, John Finch, Jonesboro, Josh Appel, Kansas, Kansas City, Kevin Ballinger, Laguna Hills, Las Vegas, Lessons, Louisiana, Maryland, Matt FOley, Matt Fortin, Matt Wigley, Missouri, Neal Dahlman, Nebraska, New Jersey, New Mexico, New Orleans, Nick Monaghan Columbia, North Carolina, Pennsylvania, Philadelphia, Provo, Rubio long snapping, Ryan Eustace, Ryan Farr, Ryan Simmons, San Diego, Santa Monica, Seattle, South Carolina, Steven Romero, Tanner Gibas, Tennessee, Terre Haute, Texas, training, Tyler Griffiths, Utah, Virginia, Washington D.C.
Far right: Matt Wigley, Senior Rubio Long Snapping Instructor, hold group and private lessons in Orange County. 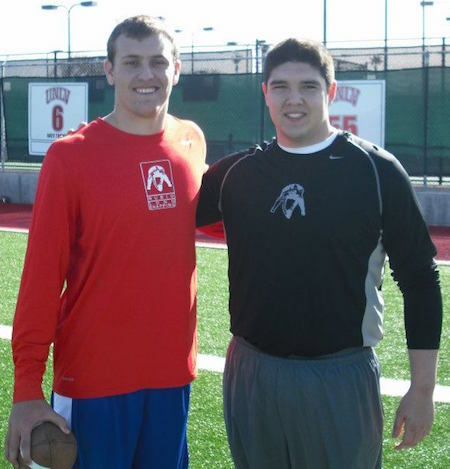 Filed Under: Deep Snapper, High School, Lessons, Long Snapper, Uncategorized Tagged With: Aaron Golub, Alan Lucy, Albuquerque, Arkansas, Atlanta, Baton Rouge, Bay Area, Blake Ferguson, Brendan Lopez, California, Carson Vey, Casey Hales, Chris Roberson, Colorado, Corey Adams, Dallas Fort Worth, Danny Lamontagne, Derrick Lopez, Exposure, Florida, Gabe Miller, Georgia, Greenville, Harrison Elliott, Houston, Illinois, Indiana, Jason Bertoni, Jeff Abraham, John Finch, Jonesboro, Josh Appel, Kansas, Kansas City, Kevin Ballinger, Laguna Hills, Las Vegas, Lessons, Louisiana, Maryland, Matt FOley, Matt Fortin, Matt Wigley, Missouri, Nebraska, New Jersey, New Mexico, New Orleans, Nick Monaghan Columbia, Nolan Owen, North Carolina, Pennsylvania, Philadelphia, Provo, Rubio long snapping, Ryan Eustace, Ryan Farr, Ryan Simmons, San Diego, Santa Monica, Seattle, South Carolina, Steven Romero, Tanner Gibas, Tennessee, Terre Haute, Texas, training, Tyler Griffiths, Utah, Virginia, Washington D.C.
3rd from the Right: Senior Rubio Long Snapping Instructor, Matt Wigley, offers group sessions, private lessons and yoga training in Orange County California. 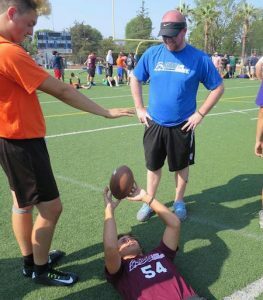 Filed Under: Football, High School, Lessons, Long Snapper, Uncategorized Tagged With: Aaron Golub, Alan Lucy, Albuquerque, Arkansas, Atlanta, Baton Rouge, Bay Area, Blake Ferguson, Brendan Lopez, California, Carson Vey, Casey Hales, Chris Roberson, Colorado, Corey Adams, Dallas Fort Worth, Danny Lamontagne, Derrick Lopez, Exposure, Florida, Gabe Miller, Georgia, Greenville, Harrison Elliott, Homer Glen, Houston, Illinois, Indiana, Jason Bertoni, Jeff Abraham, John Finch, Jonesboro, Josh Appel, Kansas, Kansas City, Kevin Ballinger, Laguna Hills, Las Vegas, Lessons, Lockport, Louisiana, Maryland, Matt FOley, Matt Fortin, Matt Wigley, Missouri, Neal Dahlman, Nebraska, New Jersey, New Mexico, New Orleans, Nick Monaghan Columbia, Nolan Owen, North Carolina, Pennsylvania, Philadelphia, Provo, Rubio long snapping, Ryan Eustace, Ryan Farr, Ryan Simmons, San Diego, Santa Monica, Seattle, South Carolina, Steven Romero, Tanner Gibas, Tennessee, Terre Haute, Texas, training, Tyler Griffiths, Utah, Virginia, Washington D.C.
Center: Senior Rubio Long Snapping Instructor, John Finch, holds small group sessions in the Dallas area. Filed Under: Lessons, Uncategorized Tagged With: Aaron Golub, Alan Lucy, Albuquerque, Arkansas, Atlanta, Baton Rouge, Bay Area, Blake Ferguson, Brendan Lopez, California, Carson Vey, Casey Hales, Chris Roberson, Colorado, Corey Adams, Dallas Fort Worth, Danny Lamontagne, Derrick Lopez, Exposure, Florida, Gabe Miller, Georgia, Greenville, Harrison Elliott, Houston, Illinois, Indiana, Jason Bertoni, Jeff Abraham, John Finch, Jonesboro, Josh Appel, Kansas, Kansas City, Kevin Ballinger, Laguna Hills, Las Vegas, Lessons, Louisiana, Maryland, Matt FOley, Matt Fortin, Matt Wigley, Missouri, Nebraska, New Jersey, New Mexico, New Orleans, Nick Monaghan Columbia, Nolan Owen, North Carolina, Pennsylvania, Philadelphia, Provo, Rubio long snapping, Ryan Eustace, Ryan Farr, Ryan Simmons, San Diego, Santa Monica, Seattle, South Carolina, Steven Romero, Tanner Gibas, Tennessee, Terre Haute, Texas, training, Tyler Griffiths, Utah, Virginia, Washington D.C.
Left: Senior Rubio Long Snapping Instructor, Nolan Owen, holds private and group sessions in the Chicago area. 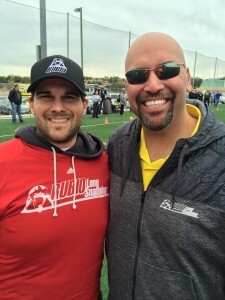 Filed Under: Athletics, High School, Lessons, Long Snapper, Uncategorized Tagged With: Aaron Golub, Alan Lucy, Albuquerque, Arkansas, Atlanta, Baton Rouge, Bay Area, Blake Ferguson, Brendan Lopez, California, Carson Vey, Casey Hales, Chris Roberson, Colorado, Corey Adams, Dallas Fort Worth, Danny Lamontagne, Derrick Lopez, Exposure, Florida, Gabe Miller, Georgia, Greenville, Harrison Elliott, Houston, Illinois, Indiana, Jason Bertoni, Jeff Abraham, John Finch, Jonesboro, Josh Appel, Kansas, Kansas City, Kevin Ballinger, Laguna Hills, Las Vegas, Lessons, Louisiana, Maryland, Matt FOley, Matt Fortin, Matt Wigley, Missouri, Nebraska, New Jersey, New Mexico, New Orleans, Nick Monaghan Columbia, Nolan Owen, North Carolina, Pennsylvania, Philadelphia, Provo, Rubio long snapping, Ryan Eustace, Ryan Farr, Ryan Simmons, San Diego, Santa Monica, Seattle, South Carolina, Steven Romero, Tanner Gibas, Tennessee, Terre Haute, Texas, training, Tyler Griffiths, Utah, Virginia, Washington D.C. 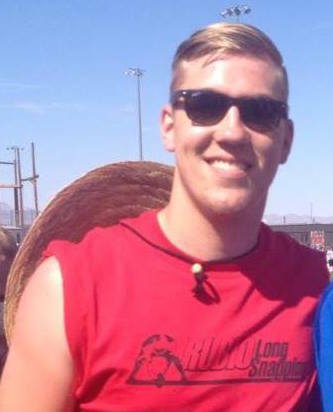 Right: Senior Instructor, Matt Wigley, holds private and group lessons in Orange County weekly. 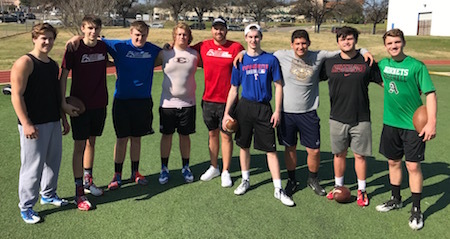 Filed Under: Athlete, Exposure, Football, High School, Lessons, Long Snapper, Uncategorized Tagged With: Aaron Golub, Alan Lucy, Albuquerque, Arkansas, Atlanta, Baton Rouge, Bay Area, Blake Ferguson, Brendan Lopez, California, Carson Vey, Casey Hales, Chris Roberson, Colorado, Corey Adams, Dallas Fort Worth, Danny Lamontagne, Derrick Lopez, Exposure, Florida, Gabe Miller, Georgia, Greenville, Harrison Elliott, Houston, Illinois, Indiana, Jason Bertoni, Jeff Abraham, John Finch, Jonesboro, Josh Appel, Kansas, Kansas City, Kevin Ballinger, Laguna Hills, Las Vegas, Lessons, Louisiana, Maryland, Matt FOley, Matt Fortin, Matt Wigley, Missouri, Nebraska, New Jersey, New Mexico, New Orleans, Nick Monaghan Columbia, Nolan Owen, North Carolina, Pennsylvania, Philadelphia, Provo, Rubio long snapping, Ryan Eustace, Ryan Farr, Ryan Simmons, San Diego, Santa Monica, Seattle, South Carolina, Steven Romero, Tanner Gibas, Tennessee, Terre Haute, Texas, training, Tyler Griffiths, Utah, Virginia, Washington D.C.
Second from the right: Jason Bertoni, Senior Rubio Long Snapping Instructor, hold lessons in Southern California. 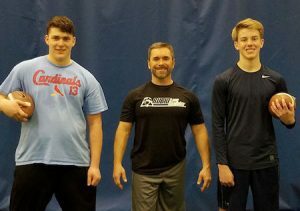 Filed Under: Athletics, Football, High School, Lessons, Long Snapper Tagged With: Aaron Golub, Alan Lucy, Albuquerque, Arkansas, Atlanta, Baton Rouge, Bay Area, Blake Ferguson, Brendan Lopez, California, Carson Vey, Casey Hales, Chris Roberson, Colorado, Colorado Springs, Corey Adams, Dallas Fort Worth, Danny Lamontagne, Derrick Lopez, Exposure, Florida, Gabe Miller, Georgia, Geron Eatherly, Greenville, Harrison Elliott, Houston, Illinois, Indiana, Jake Abraham, Jason Bertoni, Jeff Abraham, John Finch, Jonesboro, Josh Appel, Kansas, Kansas City, Kevin Ballinger, Laguna Hills, Las Vegas, Lessons, Louisiana, Maryland, Matt FOley, Matt Fortin, Matt Wigley, Missouri, Nebraska, New Jersey, New Mexico, New Orleans, Nick Monaghan Columbia, Nolan Owen, North Carolina, Pennsylvania, Philadelphia, Provo, Rubio long snapping, Ryan Eustace, Ryan Farr, Ryan Simmons, San Diego, Santa Monica, Savannah, Seattle, South Carolina, Statesboro, Steven Romero, Tanner Gibas, Tennessee, Terre Haute, Texas, training, Tyler Griffiths, Utah, Virginia, Washington D.C.
Center: Senior Instructor, Casey Hales, leads a group session in Bakersfield, CA. Hales holds private lessons and group sessions in Northern California regularly. Football season has come to an end and now our National Event: VEGAS XXIX is only 25 days away! 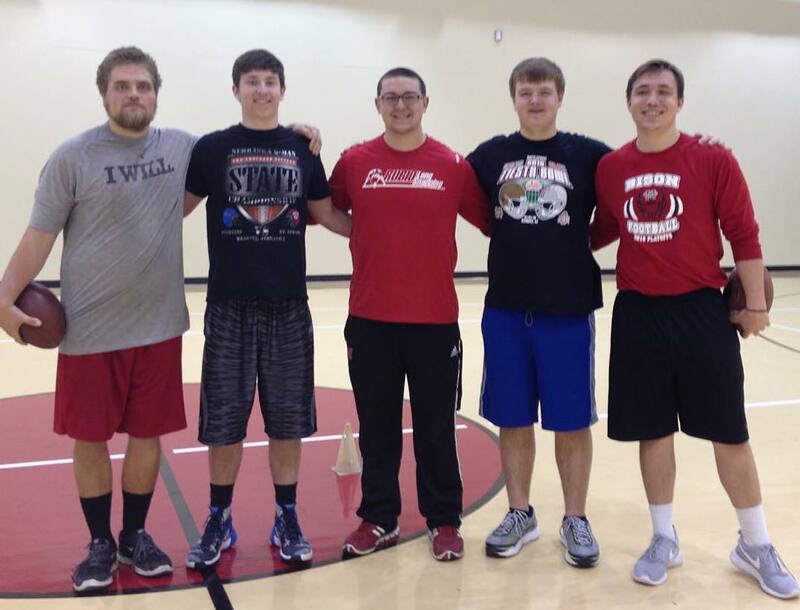 This winter break is the perfect time to take advantage of any instructors in your area. The list is constantly growing and changes are posted each week. Filed Under: Article Archives, Football, High School, Lessons, Long Snapper, Social Media Tagged With: Aaron Golub, Alan Lucy, Albuquerque, Arkansas, Atlanta, Baton Rouge, Bay Area, Blake Ferguson, Brendan Lopez, California, Carson Vey, Casey Hales, Chris Roberson, Colorado, Corey Adams, Dallas Fort Worth, Danny Lamontagne, Derrick Lopez, Exposure, Florida, Gabe Miller, Georgia, Greenville, Harrison Elliott, Houston, Illinois, Indiana, Jason Bertoni, Jeff Abraham, John Finch, Jonesboro, Josh Appel, Kansas, Kansas City, Kevin Ballinger, Laguna Hills, Las Vegas, Lessons, Louisiana, Maryland, Matt FOley, Matt Fortin, Matt Wigley, Missouri, Nebraska, New Jersey, New Mexico, New Orleans, Nick Monaghan Columbia, Nolan Owen, North Carolina, Pennsylvania, Philadelphia, Provo, Rubio long snapping, Ryan Eustace, Ryan Farr, Ryan Simmons, San Diego, Santa Monica, Seattle, South Carolina, Steven Romero, Tanner Gibas, Tennessee, Terre Haute, Texas, training, Tyler Griffiths, Utah, Virginia, Washington D.C.
Left: Rubio Long Snapping Instructor, Tanner Gibas holds private lessons in the Denver, CO area. 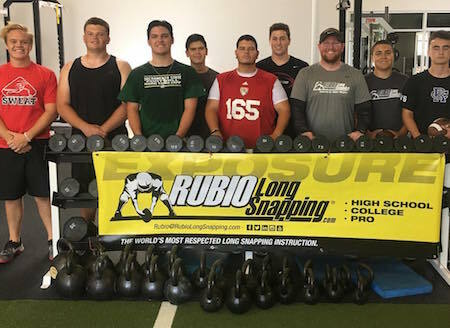 Football season is underway and so is Rubio Long Snapping’s FALL camp series! 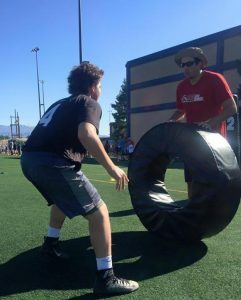 Now is the time to take advantage of any instructors in your area. The list is constantly growing and changes are posted each week. Filed Under: Uncategorized Tagged With: Aaron Golub, Alan Lucy, Albuquerque, Arkansas, Atlanta, Baton Rouge, Bay Area, Blake Ferguson, Brendan Lopez, California, Carson Vey, Casey Hales, Chris Roberson, Colorado, Corey Adams, Dallas Fort Worth, Danny Lamontagne, Derrick Lopez, Exposure, Florida, Gabe Miller, Georgia, Greenville, Harrison Elliott, Houston, Illinois, Indiana, Jason Bertoni, Jeff Abraham, John Finch, Jonesboro, Josh Appel, Kansas, Kansas City, Kevin Ballinger, Laguna Hills, Las Vegas, Lessons, Louisiana, Maryland, Matt FOley, Matt Fortin, Matt Wigley, Missouri, Nebraska, New Jersey, New Mexico, New Orleans, Nick Monaghan Columbia, Nolan Owen, North Carolina, Pennsylvania, Philadelphia, Provo, Rubio long snapping, Ryan Eustace, Ryan Farr, Ryan Simmons, San Diego, Santa Monica, Seattle, South Carolina, Steven Romero, Tanner Gibas, Tennessee, Terre Haute, Texas, training, Tyler Griffiths, Utah, Virginia, Washington D.C.
Pictured: Rubio Long Snapping Instructor, Blake Ferguson gives private lessons and holds group sessions in the Baton Rouge Area. Filed Under: Uncategorized Tagged With: Aaron Golub, Alan Lucy, Albuquerque, Arkansas, Atlanta, Baton Rouge, Bay Area, Blake Ferguson, Brendan Lopez, California, Carson Vey, Casey Hales, Chris Roberson, Colorado, Corey Adams, Dallas Fort Worth, Danny Lamontagne, Derrick Lopez, Exposure, Florida, Gabe Miller, Georgia, Greenville, Harrison Elliott, Houston, Illinois, Indiana, Jason Bertoni, Jeff Abraham, John Finch, Jonesboro, Josh Appel, Kansas, Kansas City, Kevin Ballinger, Laguna Hills, Las Vegas, Lessons, Louisiana, Maryland, Matt FOley, Matt Fortin, Matt Wigley, Missouri, Nebraska, New Jersey, New Mexico, New Orleans, Nick Monaghan Columbia, Nolan Owen, North Carolina, Pennsylvania, Philadelphia, Provo, Rubio long snapping, Ryan Eustace, Ryan Farr, Ryan Simmons, San Diego, Santa Monica, Seattle, Steven Romero, Tanner Gibas, Tennessee, Terre Haute, Texas, training, Tyler Griffiths, Utah, Virginia, Washington D.C.
Center: Rubio Long Snapping Instructor, Casey Hales hold private and group lessons in the San Francisco area. 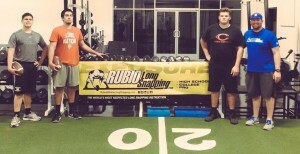 Right: Lead Rubio Long Snapping Instructor, Cory Adams leads group sessions and private lessons in the Kansas City area. Filed Under: Article Archives, High School, Lessons, Long Snapper, Uncategorized Tagged With: Aaron Golub, Alan Lucy, Albuquerque, Arkansas, Atlanta, Baton Rouge, Bay Area, Blake Ferguson, Brendan Lopez, California, Carson Vey, Casey Hales, Chris Roberson, Colorado, Corey Adams, Dallas Fort Worth, Danny Lamontagne, Derrick Lopez, Exposure, Florida, Gabe Miller, Georgia, Greenville, Harrison Elliott, Houston, Illinois, Indiana, Jason Bertoni, Jeff Abraham, John Finch, Jonesboro, Josh Appel, Kansas, Kansas City, Kevin Ballinger, Laguna Hills, Las Vegas, Lessons, Louisiana, Maryland, Matt FOley, Matt Fortin, Matt Wigley, Missouri, Nebraska, New Jersey, New Mexico, New Orleans, Nick Monaghan Columbia, Nolan Owen, North Carolina, Pennsylvania, Philadelphia, Provo, Rubio long snapping, Ryan Eustace, Ryan Farr, Ryan Simmons, San Diego, Santa Monica, Seattle, South Carolina, Steven Romero, Tanner Gibas, Tennessee, Terre Haute, Texas, training, Tyler Griffiths, Utah, Virginia, Washington D.C.